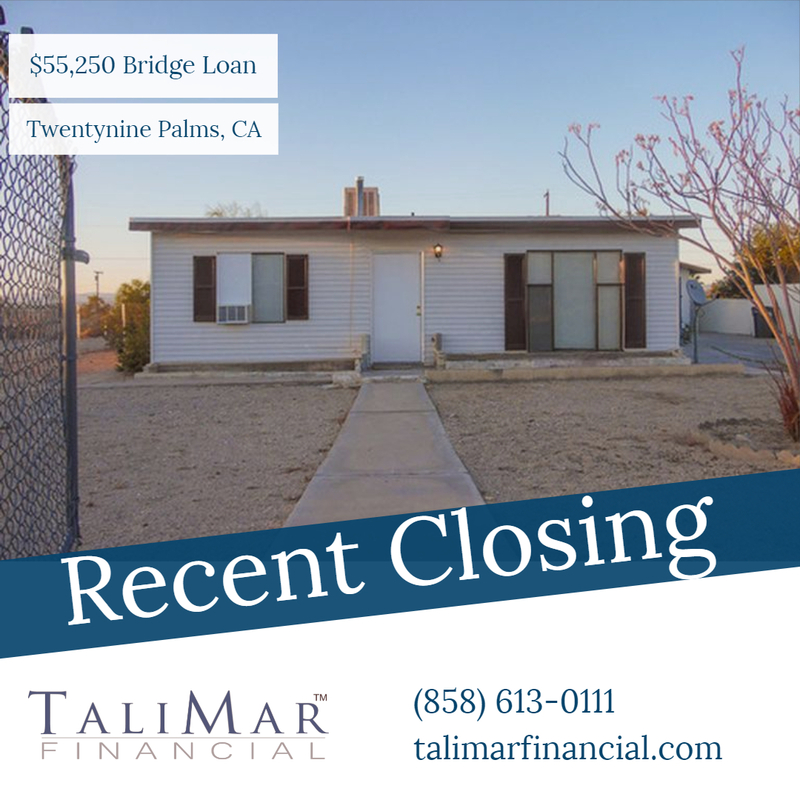 Twentynine Palms, CA – TaliMar Financial is pleased to announce its recent funding of a $55,250 Bridge loan secured on a single family home located in Twentynine Palms, CA. The Borrower was seeking a cash out refinance. TaliMar Financial will be repaid through a future refinance.